The question often asked by exercise fans and newbie body builders is “what is a complete amino acid profile?” This is because the building of muscle and the synthesis of hormones and neurotransmitters both rely heavily on a supply of full spectrum amino acids on a continual basis. There are 20 amino acids in all and they come in the three different categories of ‘Essential’, Conditionally Essential, and ‘Non Essential’. How do I Obtain Enough Amino Acids? 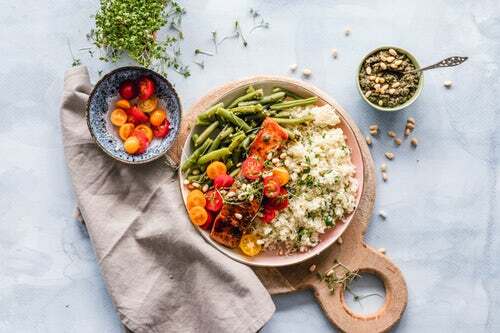 If you are eating a non plant based diet then you can obtain all the amino acids you need quite easily through meat, fish, eggs, and dairy products, as all animal products are already complete proteins that are highly absorbable by the body. However, too many animal proteins can be acidic and contribute to chronic inflammation, so it’s good to eat your animal proteins alongside lots of plant based foods to keep things on a more even keel, and to help keep a diverse gut microbiome. 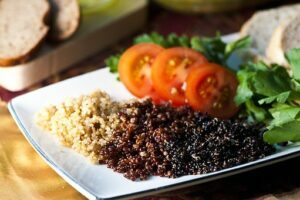 What are Plant Based Proteins? Contrary to popular, belief there are an abundance of plant foods that contain good amounts of protein, though not all of them are ‘complete’ proteins which is why it can be harder on the plant based diet to achieve your needs. And it can be especially hard when you are doing lots of exercise, even more so muscle building – but it’s definitely NOT impossible. Once you understand proper food combining it will be a breeze for you to obtain all the protein you need, that’s why it’s important if you are thinking of heading towards a plant based or vegan diet to learn how to put a nutritionally complete meal together. Some plant foods are higher in certain amino acids than others; the trick is to know what to combine with what to obtain a ‘complete’ profile. For instance, you should mix legumes, beans, or lentils with wholegrains such as brown rice, quinoa, buckwheat, amaranth, barley, spelt, or freekah. OR wholegrains with nuts and seeds, OR vegetables, grains, nuts/seeds, OR corn and legumes. There are 3 plant proteins in nature that have a complete amino acid profile naturally, and these are buckwheat, soy, and quinoa. 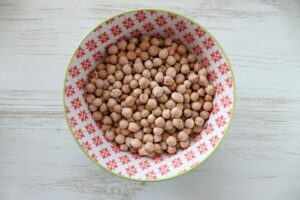 Now, I know I bang on about these a LOT on my blog, but this is for the simple fact that they are just such vital components to my diet, and should indeed be vital components to any healthy plant based or vegan diet. Quinoa (which is a seed not a grain) is especially great, as it not only contains a full spectrum of those vital amino acids, but it’s a superfood in its own right. Along with protein, it also contains a myriad of other healthy nutrients, such as omega 3 fatty acids, manganese, magnesium, phosphorus, iron, zinc, folate, copper, and also lots gut friendly fiber. It is also low GI, so great for weight loss and diabetics; and it’s completely versatile so can be eaten as a substitute for rice or other grains; can be used as a side dish accompliment to any meal; can be eaten as a protein OR a carbohydrate as it has substantial amounts of both of these; can be eaten alone as a complete food in itself; is great in sweet deserts such as quinoa pudding, and also makes an awesome start to the day in the form of a tasty and wholesome quinoa breakfast bowl. Protein is something that everybody needs in amounts of roughly 1-2 grams per kilo of body weight, per day. You will find the amounts of protein in a food in this easy to understand list. Some people may require more than others, but this depends heavily on activity levels and other reasons, such as being diabetic or needing to lose weight. If you are doing a lot of exercise, specifically muscle building, then you will need to be extra vigilant with protein and be sure you are getting full spectrum amino acids from either animal products (if you eat them), or plant foods. 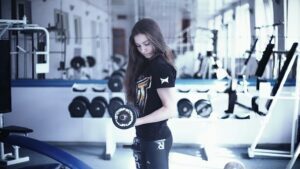 You may also require a protein supplement if you wish to build muscle, but don’t over do it – most meat eaters don’t actually need a protein supplement if they are exercising for under an hour, OR if they are not lifting heavy weights. A high protein diet can be your best friend on a weight loss diet for the simple fact that protein is filling, low GI (so helps you to burn belly fat), and it helps stop sugar and carb cravings. It will also keep your muscle mass up, as calorie restriction dieters notoriously lose muscle mass along with fat when cutting calories, which is a very bad thing because muscle mass keeps your metabolism stoked and your body in continual fat burning mode. Glowing skin – and I mean seriously glowing skin – people will comment! Lower risk of diseases due to higher intake of antioxidants, phytonutrients, vitamins, and minerals. Less risk of depression and anxiety due to higher intake of healthy fats from nuts, seeds, and antioxidants. Some may dispute this, but I am definitely the fittest I have ever been on a plant based diet and I put this down to quicker recovery time due to less inflammation. Less hormonal disruptions, such as PMS. Do I Need a Protein Powder Supplement? Some people are all for protein supplements, some not so much; me, I’m a big fan, as being a pretty much 100% plant based eater AND an exercise lover I find they are the only way I can meet my daily quota to avoid losing muscle mass. This, of course, could vary from person to person, but my advice would be to cover all bases and use a protein supplement at least every other day if nothing else. You will most definitely need extra protein if you are body building, doing lots of gym work, or wanting to cut fat and build muscle. Your body will need more due to the extra demand, but over time you will become more efficient at recycling protein so you may be able to cut down the fitter you get, contrary to popular belief. Last but not least, as mentioned before, if you are wishing to lose weight then a good quality protein supplement can be a lifesaver as it will fill you up and help lower your blood sugar. Fluctuating blood sugar from eating too many refined carbohydrates can promote belly fat storage, so the more you can keep blood sugars on an even keel the slimmer you will be. A protein shake can also make for a great snack; or even a meal replacement on a weight loss diet. There are some great protein powder brands doing all kinds of amazing things with amino acids these days, including adding green superfood powders, nutrients, enzymes, and even probiotics; and also making sure they are already full spectrum by blending specific types together. This can make them a meal in themselves, especially if you blend them with a banana, or an avocado – delicious! Thanks for reading this post from zestforever. I hope you have learnt how to achieve your amino acid needs whatever your situation and current diet. I am happy to answer any further questions yo may have on this topic in the comments thread below, so feel free to fire away. Great post! I have been rethinking how much protein I eat as well as the quality of it. I thought about getting some protein powder but so many of them contain casein as well as whey and I just cannot do casein. I also have limited access to products because of where I live. Have you tried the Nutvia Hemp protein powder? Do you know what kind of fiber they use in it? Hi Irma, it’s always good to take care with the types of protein you eat, and to definitely mix it up as much as possible. I don’t know whether you are a plant based eater or you eat meat, but either way it’s best to go for organic produce to lower the risk of pesticides and other contaminants. When it come to protein powder supplements, my advice would be to go for plant based versions every time. They are just less acid forming and they do not contain casein, so you won’t have to worry in that department. The hemp protein you are speaking about is 90% soluble and 10% insoluble fiber; plus it is a ‘complete’ protein alone that also contains lots of nutrients and omega 3 fatty acids. You could, however, go for a plant based blend where you will get a mix of lots of different amino acids. Like I said before, it’s always good to mix it up. I have been researching the importance of BCAA and protein so this article is right on point for me. Your page has most of the information that I am looking for. Thanks for sharing your articles! Fantastic you are going to start weight training again. That means you will need to definitely be vigilant about protein intake. A good protein powder supplement will help you there, along with high protein foods. This is such an interesting post. We see a lot about vitamins and minerals but not much about amino acids and how to combine them. I eat a mainly plant based diet too and feel fantastic on it. There is always a little niggle going on in the back if my mind wondering if I am getting everything I need so it’s reassuring to read articles like this. Hi Deb, that’s awesome you’re a plant based eater too. So many people are now and that’s great! But I see time and time again people not understanding how to do it correctly and combine their foods properly, which is why I decided to write this post. I am glad you found it useful, and with you luck on your plant based journey. I find your blog encouraging as I was very successful eating a plant-based diet a few years ago. When life got busy, I slipped back into my old “default” mode. I often feel that I should cut out the meat again and eat more beans, but that’s such a struggle for me. Most of the time I prepare food just for myself and a whole can of beans is too much for me to eat by myself. I see by your list that I am probably getting plenty of protein from other foods I eat. I love the complete amino acid profile meal and snack examples. That will be a helpful resource for me. I’ll print it out and stick in on the fridge. Thanks for sharing! Hi Theresa, yes, it is so easy to slip back into default mode as its a life long conditioned pattern that can be REALLY hard to break. It took me 3 attempts before things finally clicked into place for good for me, and I am at the point now where I can honestly say I don’t miss animal products at all. I think for you, as you have done it before, it will be much easier to get back into. You will find it easier because the world is my set up for plant based and vegan eaters these days. All supermarkets and most restaurant, even fast food chains, offer vegan options. Good Luck, and you will find some great resources on my website if you need any further help.